Hands-on workshops, guest speakers and special online opportunities are scheduled from Oct. 28 to Nov. 3. 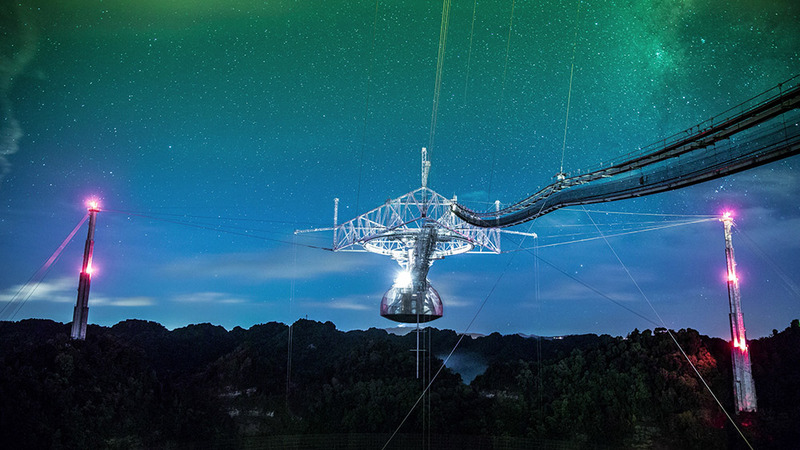 The Arecibo Observatory in Puerto Rico is celebrating its 55th birthday this month with a host of special activities that demonstrate the impact the work conducted at the National Science Foundation-funded facility has on our daily lives. Hands-on workshops, guest speakers and special online opportunities are scheduled from Oct. 28 to Nov. 3 at the observatory. Some of the researchers who live and work at Arecibo will also present about the work they do and why it matters. Each day is themed to show how the work at Arecibo is impacting different fields. UCF is also hosting a scientist from Arecibo on the main campus on Monday, Oct. 29. Kristin Jones, who researches massive black holes and the galaxies they call home, will be talking to the UCF community during her visit. The observatory is now under the leadership of UCF, with the collaboration of the Universidad Metropolitana (UMET) and Yang Enterprises Inc. The team has been leading Arecibo since April 2018. To find out more about the activities, follow the observatory’s Facebook page or visit naic.edu/ao You can also register for exclusive online content or book a backstage VIP tour of the facility during the week.